A quick dip. Learn to swim. Or just make a splash. From family splash-time to serious swimmers. We want to make swimming accessible to all. Everyone is welcome in our pool. Please note that the timetables change weekly due to the many different sessions running each week. Swim when you like with a choice of memberships. Swim when you like with pay as you go swimming or get more with a swim/gym pass. A pass gives you access to the pool and gym. Enjoy one day for only £7.50, with 30 day passes available from £29. Please check our weekly timetable before arriving. Keep kids active, and cool, over the summer with holiday fun in the pool. 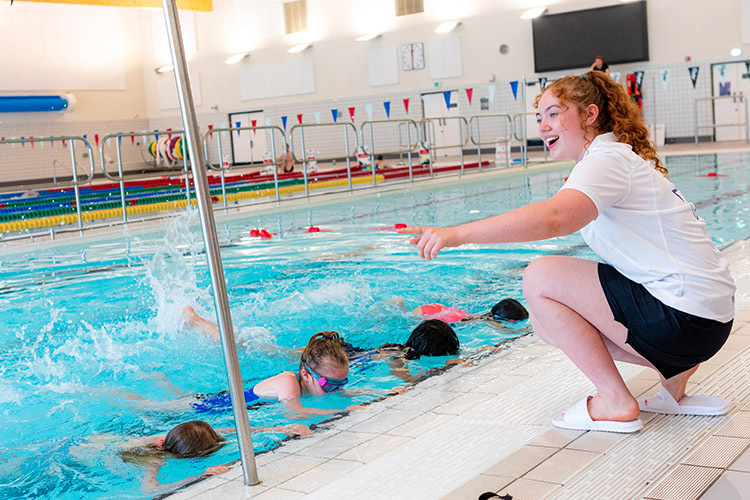 Our swimming lessons during the school holidays aim to teach children to swim in a fun and friendly environment.